This week we bring you some more interesting and exciting news from the world of retro gaming. Let’s check it out. The latest Arcade Archive to hit the Playstation Store this week is Konami’s A-Jax, which debuted in the arcades in 1987 in Japan. Taking place in the year 2007 (20 years after the release of the game), the Earth has been invaded by aliens and you must battle through hordes of enemies piloting either a fighter jet or helicopter. The stages vary between vertical or third person perspective. A-Jax is available now on the PlayStation Store in Australia and Europe. 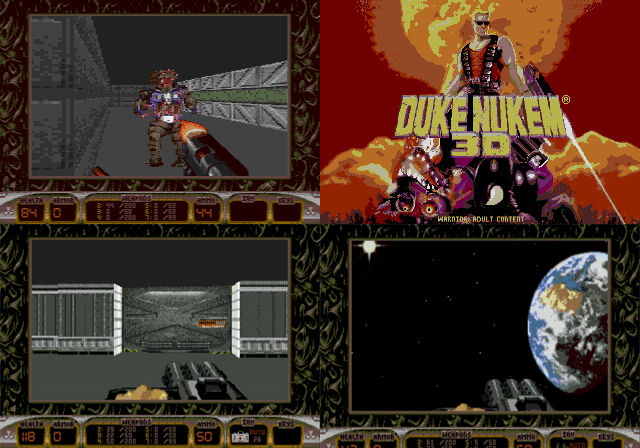 Duke Nukem 3D is a classic 1st person shooter, no arguments about it. While the game received a number of ports, one of the most unexpected releases was on the Sega’s 16-bit console. The Megadrive port originally came out in Brazil by TecToy in 1998, though the license has now been picked up by Piko Interactive. Piko are known for rereleasing half-finished prototypes as well as homebrew titles for classic systems. While it isn’t really news that the game is available legitimately or otherwise, it is news that Piko will be distributing official reproduction cartridges. These can be purchased as cart only or with a box and book. Preorders are available now at Piko’s online store and will begin shipping in a month or so. If you’re in to rally driving games then chances are that you’ve played, or heard of the Colin McRae Rally series. Colin McRae Rally 2.0 originally came out for the PC, PlayStation and Game Boy Advance, however it appears that a SEGA Dreamcast port has been unearthed recently. SEGAbits has info on a YouTuber who has come across the port, but don’t get too excited as it’s only 30% complete. Nevertheless, it’s great to know that it exists. The video above goes into more detail on this find and shows you what could have been with some gameplay footage. Had it been released it would have been out in the 4th quarter of 2000. For the past couple of months the Nintendo e-shop has been showcasing some of the finest Gameboy Advance and Nintendo 64 releases. Thankfully, this 8-bit and 16-bit dry spell has come to an end with a couple of new titles to hit the shop. This week Nintendo are rereleasing 2 of their classic shooters in the form of Hogan’s Alley and Wild Gunman. Hogan’s Alley has a 1930’s gangster theme whereas Wild Gunman (the game Marty plays at the Cafe 80s in Back to the Future 2 – Paul) has a Wild West theme. While Hogan’s Alley is a rail shooter (ala House of the Dead or Lethal Enforcers), Wild Gunman is a gun duel against an AI which tests your reflexes. The best thing about these rereleases is that you don’t need a zapper this time!